I’ve hiked many trails in Pennsylvania, but the Cold Run Trail in Worlds End State Park and Loyalsock State Forest in Sullivan County is definitely among my favorites. This three-mile trail was completed in recent years and is so new that it doesn’t even appear on the park maps. However, it is well-blazed and very easy to follow, so don’t let that deter you. What I love about this trail is the incredible variety. The Cold Run Trail is 1.5 miles long (though getting to and from the trail will, at a minimum, double the length of your hike). Along the route, there are several beautiful waterfalls, a fantastic vista, and a very cool rock outcropping (that includes a natural tunnel through the boulders). One of the two trailheads for the Cold Run Trail. The Cold Run Trail is a horseshoe-shaped trail that starts and ends along the 4.3-mile Canyon Vista Trail. 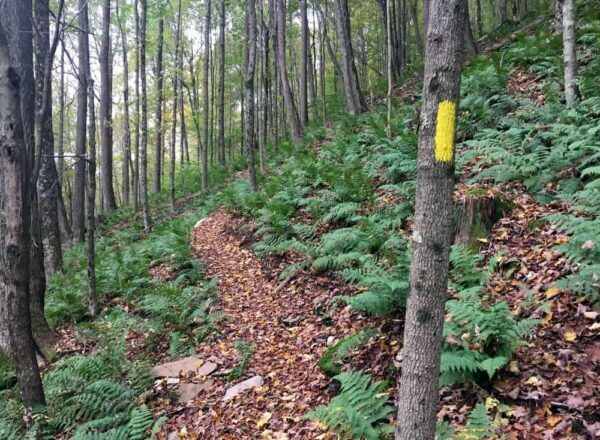 While the starting and ending points are within Worlds End State Park, the vast majority of the hike is actually in Loyalsock State Forest. 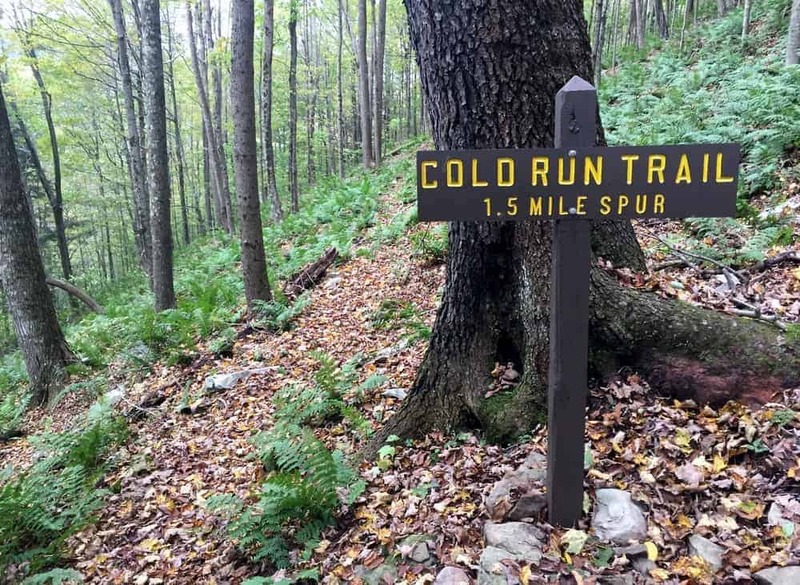 The fastest access point for the Cold Run Trail is to park along Cold Run Road after visiting Worlds End Vista (Full details below). From here, bail over the hillside to the Canyon Vista Trail which is just 15-20 feet from the road. After hiking for a quarter-mile, you’ll reach the first of the two access points for the Cold Run Trail. However, I recommend skipping this point and hiking to the other access point (you will finish at this first trailhead). This will allow you to hike upstream along the waterways for better views of the waterfalls on Cold Run. Continuing down the Canyon Vista Trail beyond this first trailhead, it immediately enters a series of steep switchbacks that will take you down about 200 feet in elevation over the next third of a mile. The start of the Cold Run Trail. When you get to the second marked trailhead for the Cold Run Trail, continue straight onto this yellow-blazed trail instead of continuing further downhill on the Canyon Vista Trail. 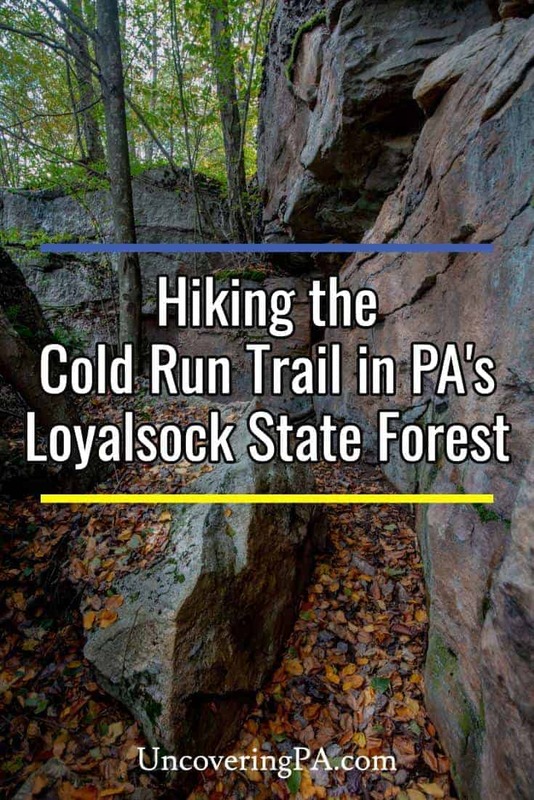 The Cold Run Trail ventures into Loyalsock State Forest and through the beautiful woodlands of Northeastern Pennsylvania. Since it’s not on the park map, congratulate yourself on finding one of the best-kept secrets in the park. 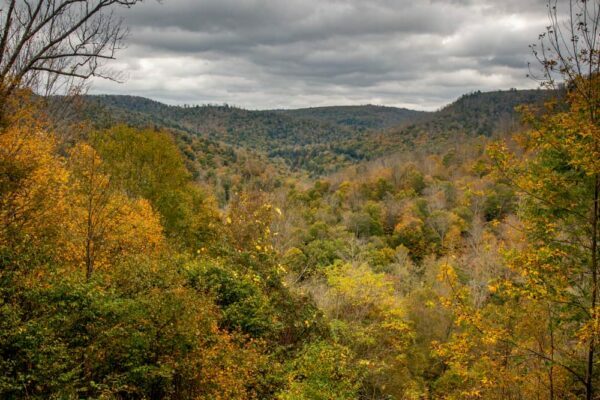 After about a quarter-mile of hiking on the Cold Run Trail, you’ll come to Cold Run Vista. This vista provides fantastic views to the east and would be a majestic spot for sunrise. Take some time to sit on the bench and enjoy this little-seen view. The spectacular vista along the Cold Run Trail. From here, the trail heads down into the valley carved by Cold Run, losing about 150 feet of elevation in the next 0.15 miles. The trail passes alongside some beautiful cliffs and alongside a small meadow before reaching Cold Run. 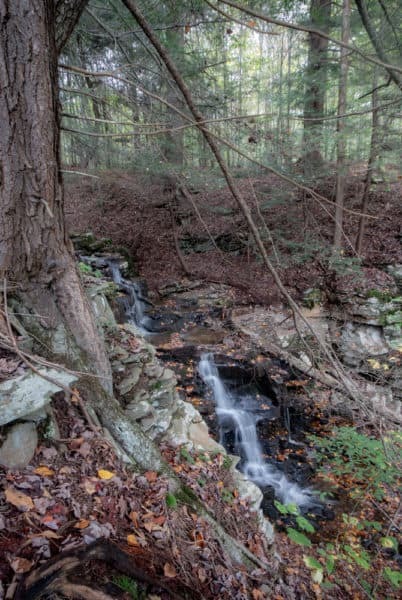 Cold Run is a beautiful stream that features several scenic waterfalls along its route, including one that is visible from Route 154 but is on private property. 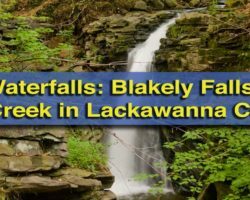 While this lowest waterfall is not along the trail, it can be seen while driving the road near the Worlds End State Park office. All told, the Cold Run Trail follows Cold Run upstream for about half a mile. The first waterfall along the Cold Run Trail. Along the way, you’ll pass a 10-foot waterfall that is worth getting a closer look at. To do so, you’ll have to leave the trail about 100 yards before the waterfall, cross the stream, and walk up to the base of the falls. Depending on water levels, this may or may not be possible to do without getting your feet wet. The waterfall is also visible from the trail, but the view is to the side, so it’s not a good as being at water level. Soon after, the trail crosses over a stream that also contains a waterfall if water levels are high. The trail continues to follow Cold Run for a few more minutes until you come to the confluence of two branches of Cold Run. When water levels are high. this is a beautiful spot as the two streams coming together both tumble over several small waterfalls. However, during times of more normal water levels, the water primarily falls from the right side. After taking a few minutes to enjoy this spot, follow the trail across Cold Run. The trail goes up the hill along the left side to the split. From here, the trail climbs a few hundred feet and crosses back over this branch of Cold Run. From here, it’s a short hike to another stream crossing and the tallest waterfall on Cold Run in Loyalsock State Forest. Cold Run Falls is the tallest waterfall along this waterway. Getting a good photo of this waterfall is a challenge as you are above it, but it’s still quite beautiful to look at this waterfall that I estimate to be about 20 feet tall. 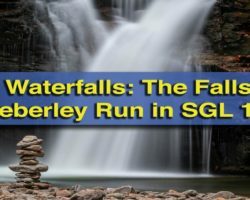 Since it’s the tallest waterfall on the stream, it makes sense to dub this Cold Run Falls. Back above the waterfall, make another stream crossing. Shortly after this stream crossing, the trail joins an old grade that was obviously a road at some point in time. It follows this for a short distance before making an obvious turn to the left back onto a more traditional trail. 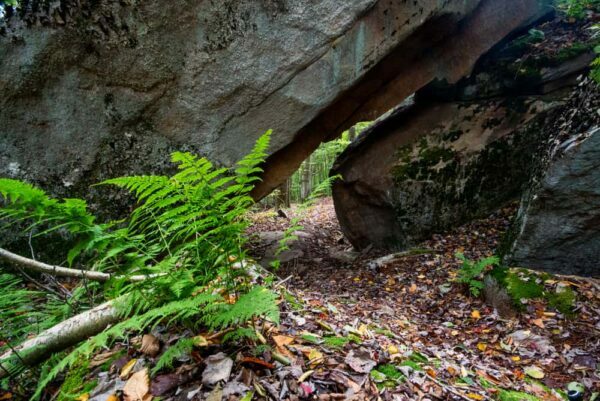 This brings you to possibly the most interesting aspect of the Cold Run Trail: the rock maze and boulder tunnel. 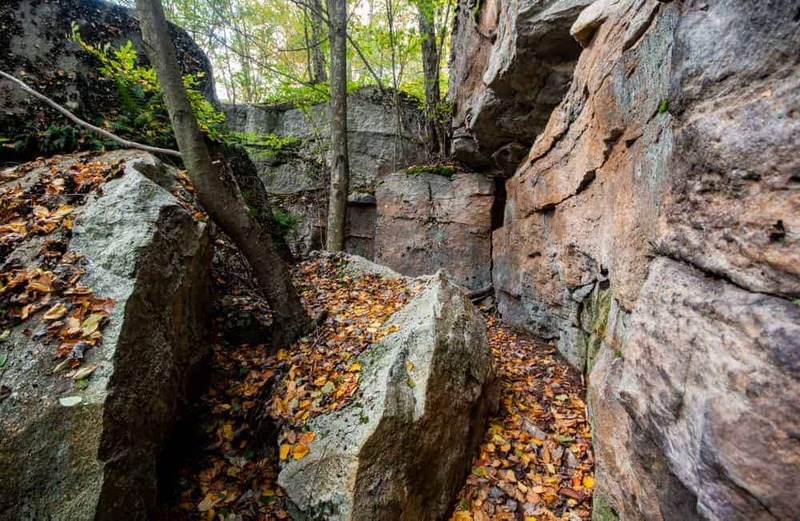 Hike through this narrow passageway through the rock maze. While this section isn’t large, this is a very unique feature to this trail that I haven’t frequently encountered elsewhere. 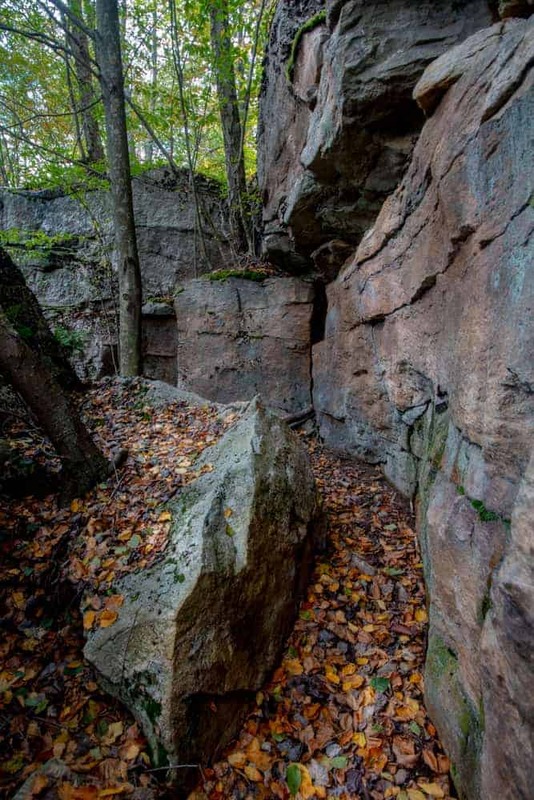 Here, you’ll pass through what is almost like a chute between a rock wall and several large boulders. This chute takes a few turns before you exit the rock maze through a tunnel through the rocks. This tunnel is completely natural and quite amazing to look at. It’s a large opening, but taller hikers may need to duck while going through it. The trail passes through this rock tunnel, which is tall enough for most to walk through fairly easily. From this point, it’s roughly a quarter mile back to the Canyon Vista Trail and the uppermost trailhead for the Cold Run Trail. Continue on the Canyon Vista Trail for about a quarter of a mile back to your car. 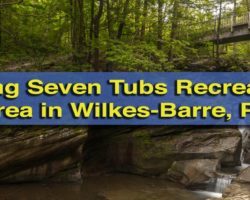 This entire hike is roughly 2.5 miles in length and is one of the most varied in all of Pennsylvania. 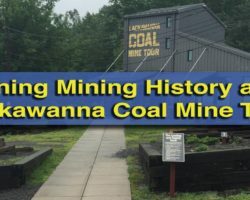 In this short distance, you’ll be able to see several beautiful waterfalls, a great vista, and a unique rock maze, in addition to walking through one of Pennsylvania’s most beautiful forests. If you are looking for a great hike in Worlds in State Park, I highly recommend the Cold Run Trail. 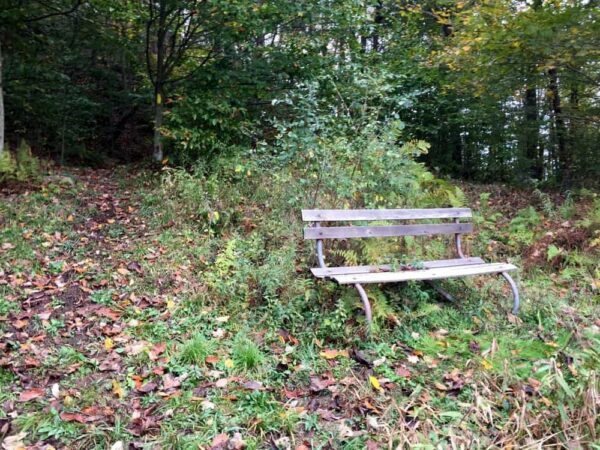 There is a bench at Cold Run Vista to help you enjoy the view. 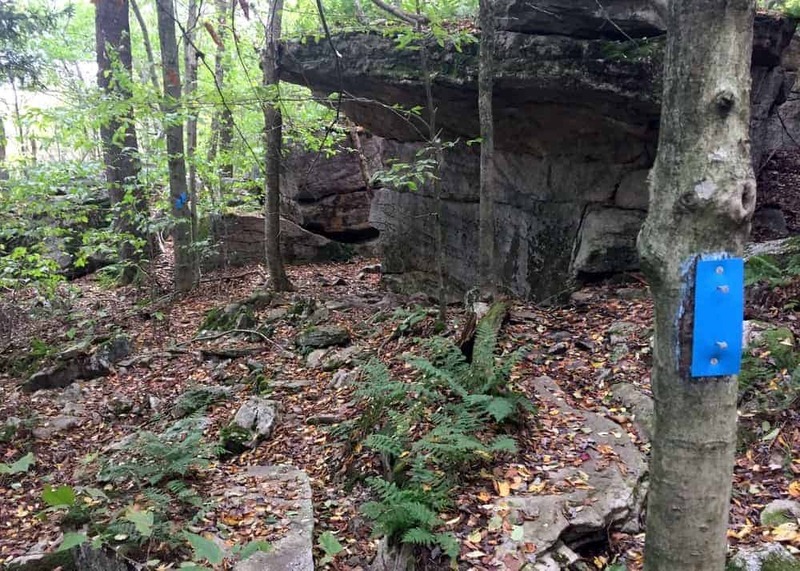 There are several options for hiking the Cold Run Trail, but they all involve using the Canyon Vista Trail to access it as the Cold Run Trail starts and ends along this popular route. The shortest is to park along Cold Run Road at one of the many pull-offs. When I visited, I parked at these coordinates: 41.464817, -76.562800. While the Canyon Vista Trail runs next to the road, it is slightly below it. This access point was the easiest spot I found to descend the bank to the trail just a few feet below me. There are possible spots to park further down Cold Run Road (away from Worlds End Overlook), but it’s harder to reach the trail at those points. There are also beautiful spots to be seen along the Canyon Vista Trail. If you’d rather not hike off the trail at all, you could also park at Worlds End Overlook. From here, you can easily pick up the Canyon Vista Trail and hike east towards the Cold Run Trail. It’s worth noting that doing this will add approximately 1.5 miles to your total hike, but doesn’t include the steep elevation gain you’ll encounter if you start at the next option. The final option is primarily for those either staying in the campground at Worlds End State Park or those looking to do the entirety of the Canyon Vista Trail loop. This trail starts at the campground on Route 154 and is 4.3 miles in length. If you opt for this route, you’ll end up hiking around six total miles by adding in the Cold Run Trail. 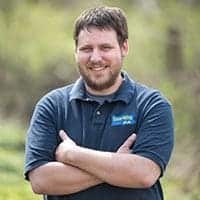 For those that use a GPS unit, the starting trailhead (as presented in this article) can be found at the following coordinates: 41.464333, -76.558333. The ending trailhead is at these coordinates: 41.463333, -76.559217. However you opt to do it, the Cold Run Trail shouldn’t be missed on your next visit to Sullivan County, PA. Looking for more places to visit in the area? 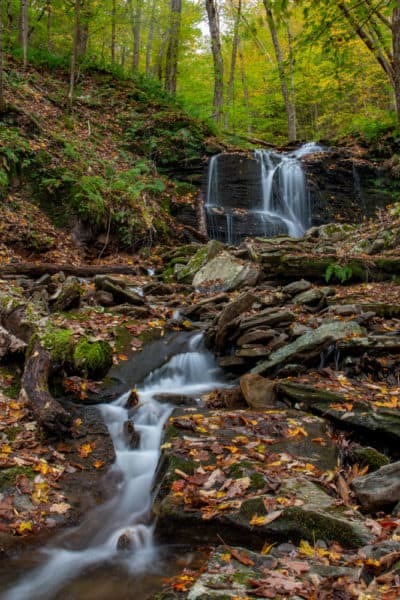 Check out the Dry Run Falls, Mill Creek Falls, Cottonwood Falls, and Colley Falls. 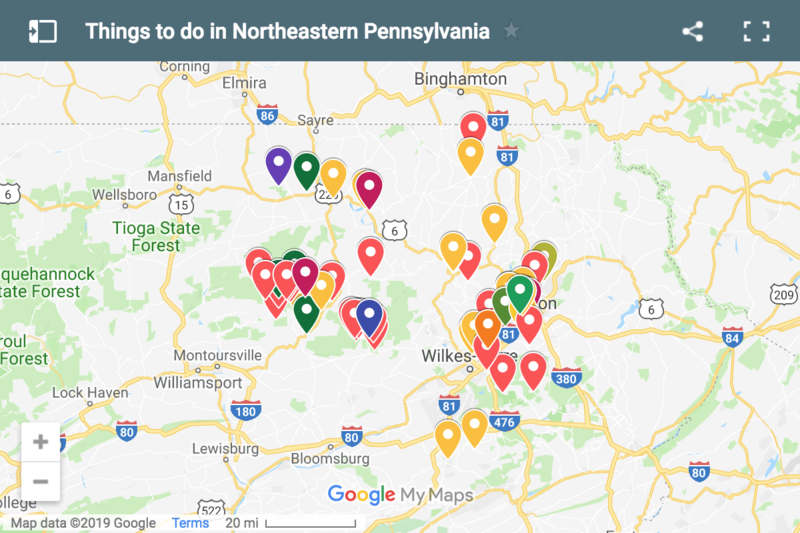 You can also check out all of our favorite PA waterfalls from around the state. I wouldn’t sit down on that bench or anywhere else along this trail….some of the most horrific large spiders that I’ve ever seen.